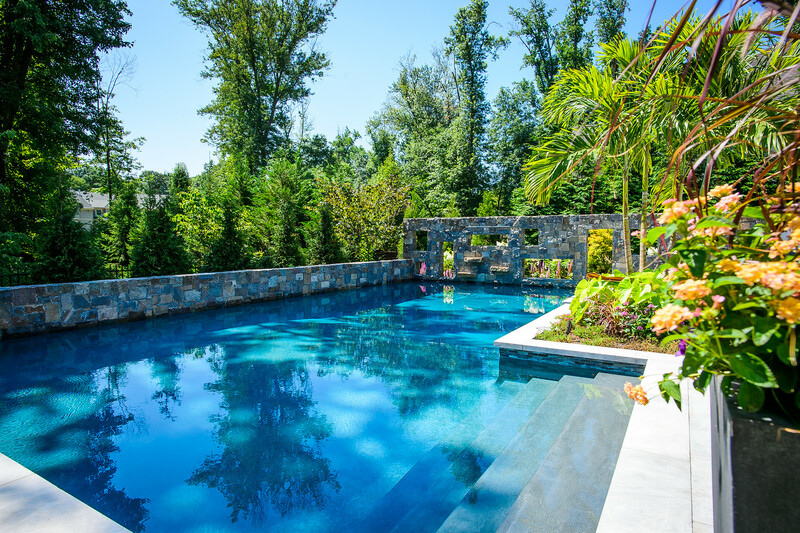 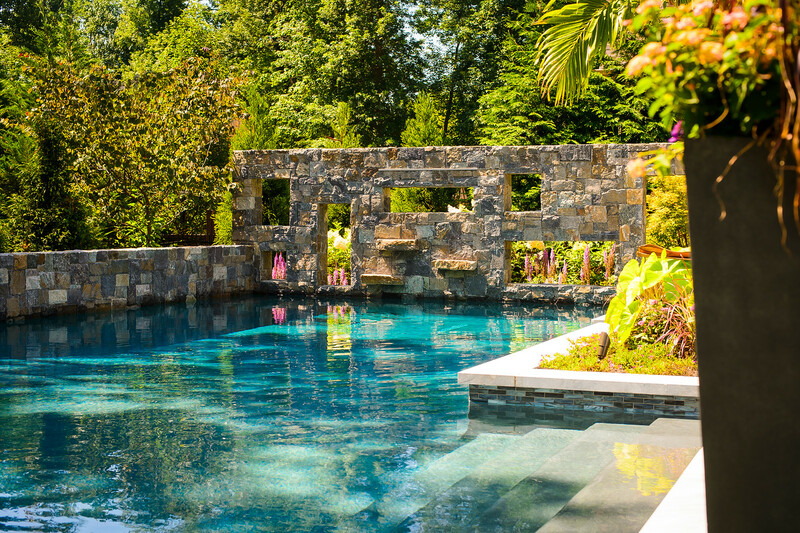 Vibrant and tropical backyard space with a custom pool, spa, kitchen, bar and ample patio space. 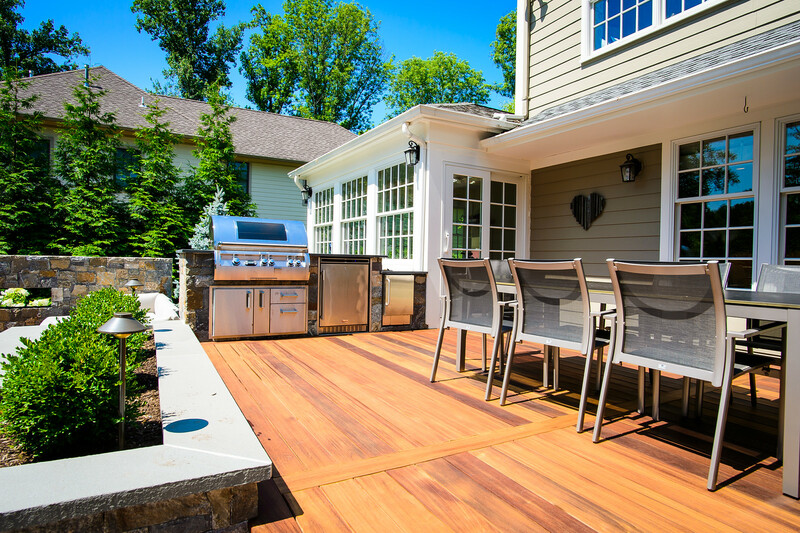 This is the perfect space for those who love to entertain. 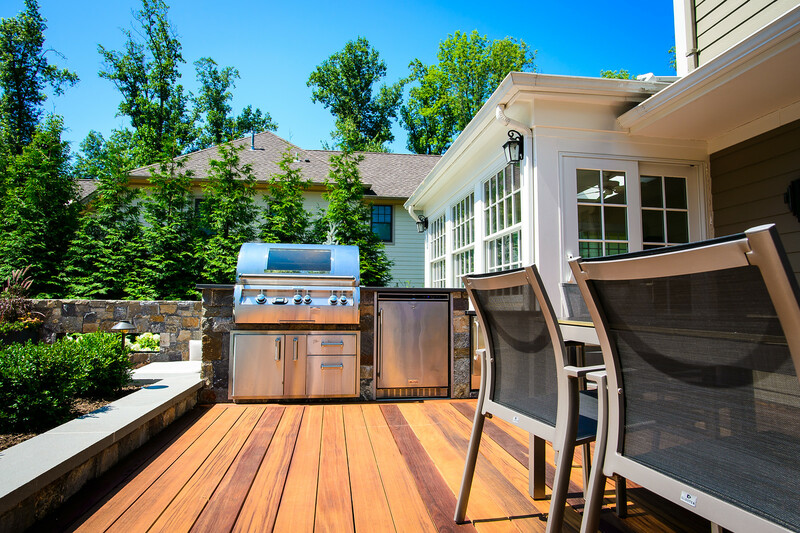 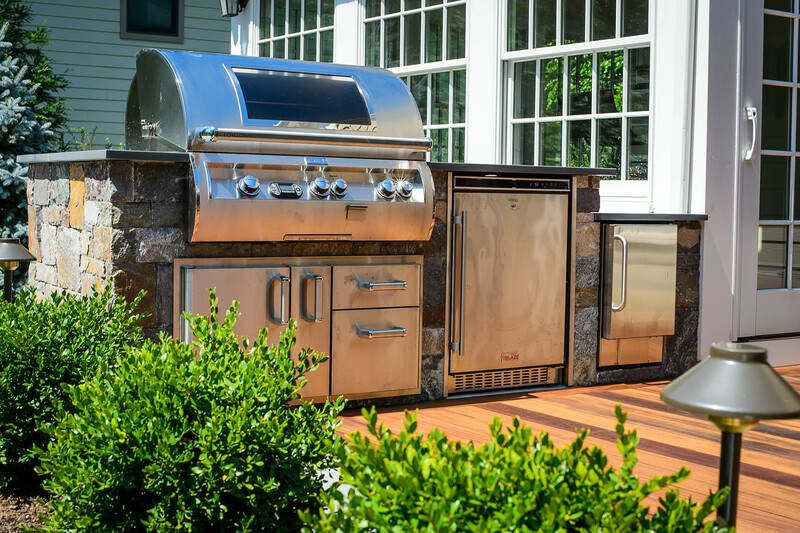 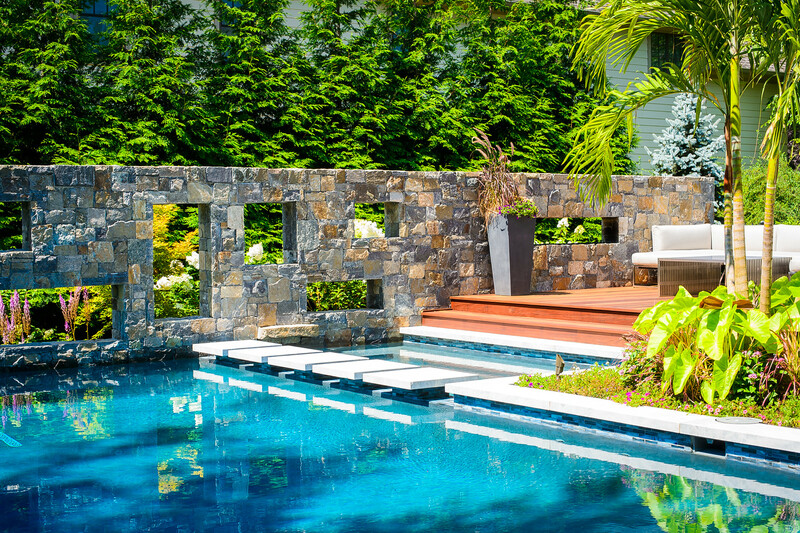 This backyard is a dream for anyone who loves to entertain. 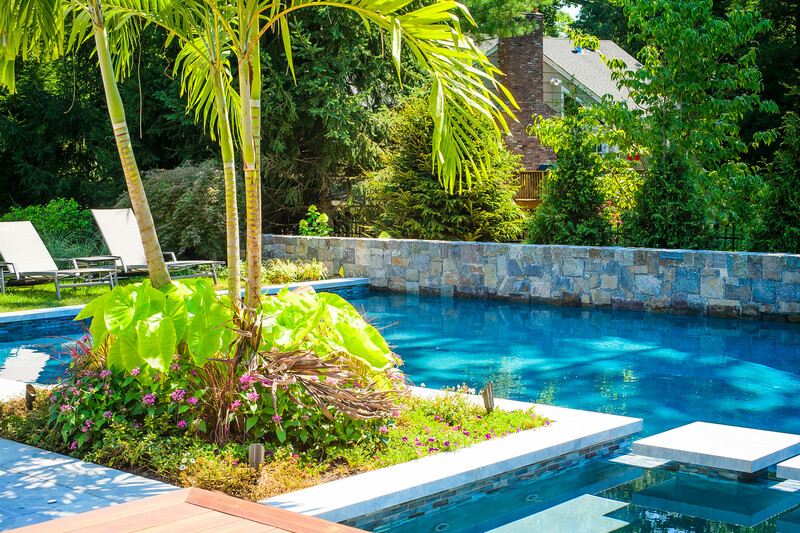 Walking into this backyard you instantly feel like you are transported straight to the Caribbean. 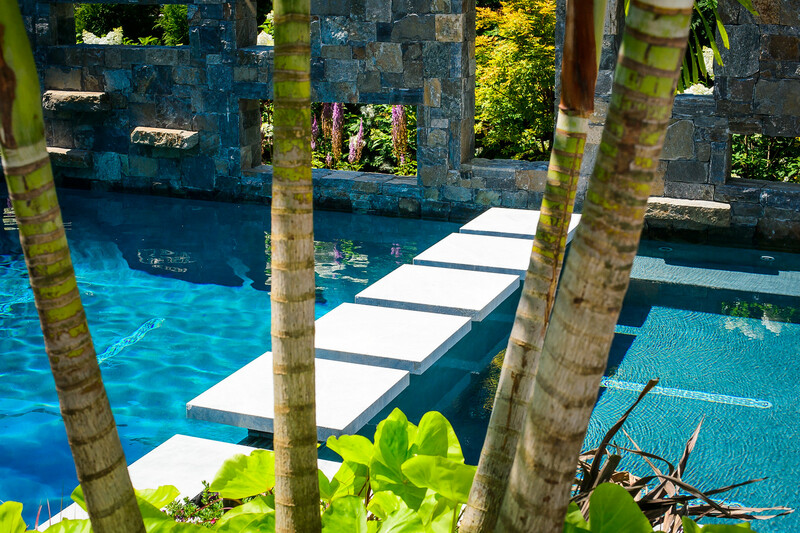 With large palm tree planters, bright colors and modern lines, it is a property to impress. 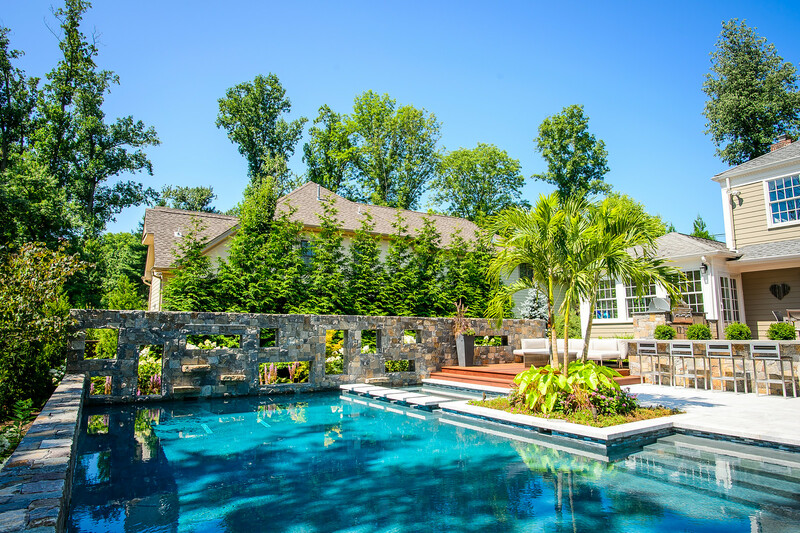 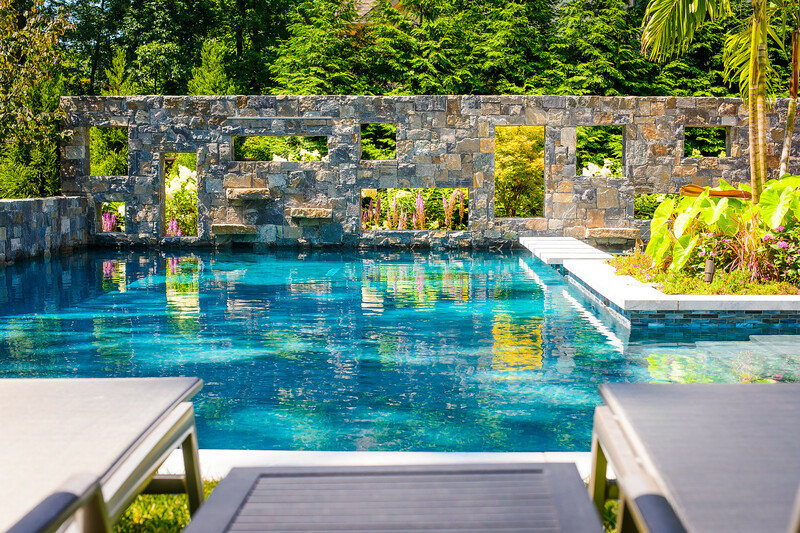 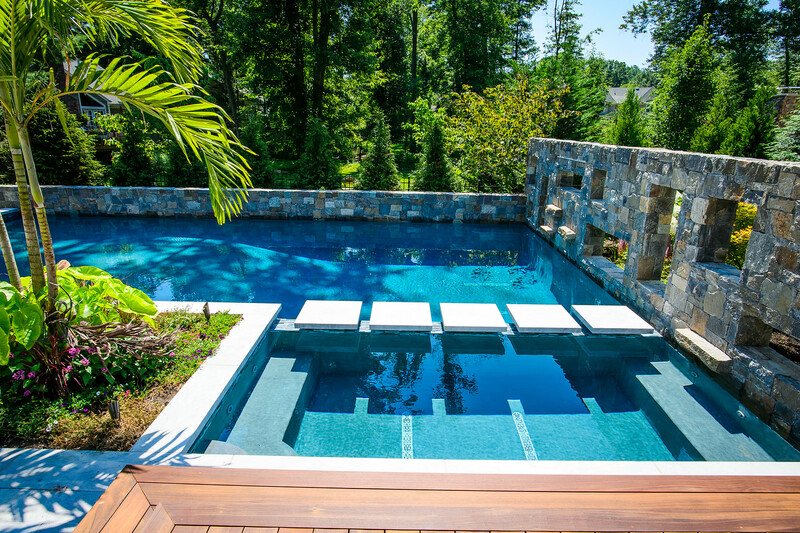 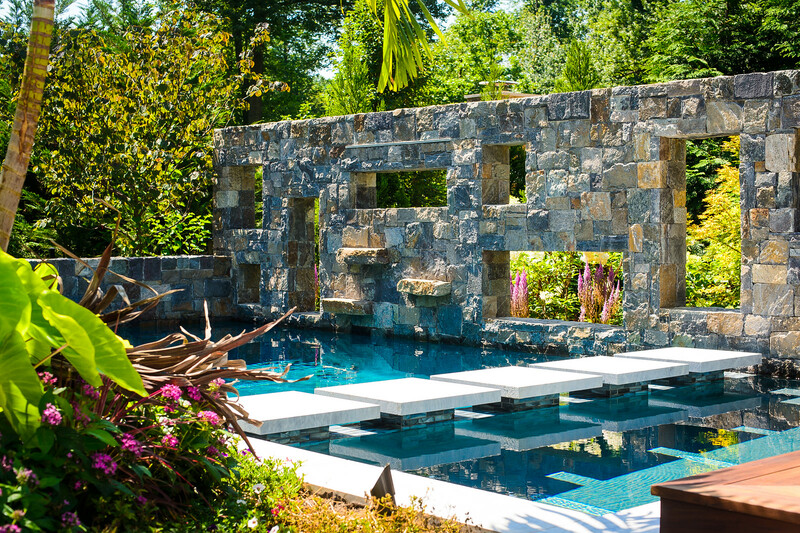 Custom pool and spa design with floating stepping stones, a patio space for seating, an outdoor kitchen with bar seating and ample space for relaxation; this backyard has it all.